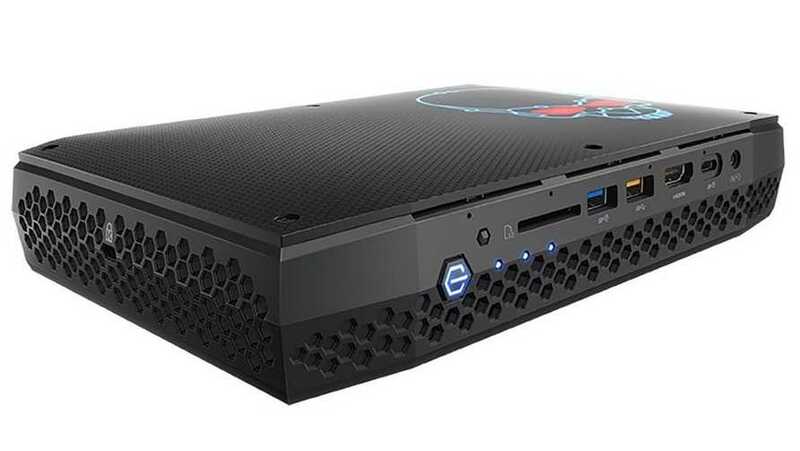 Intel has launched the new NUC PC, the Hades Canyon at CES 2018 and it claims to be the smallest ever VR PC and stands true to what the manufacturer calls it to be. The company has set a new benchmark by launching this new lightweight and extremely small PC that can actually run virtual reality content without looking all bulky. Under the small form factor, the device is powered by a Intel’s 8th generation i7 Processor but the big news is that it receives its graphical prowess from AMD Radeon RX Vega graphics card. As part of the agreement the companies signed recently, a series of Intel processors with AMD graphics card on top of them will be announced and be made available in stores in 2018. This is the first of many. The NUC 8i7HVK and NUC 8i7HNK are the models revealed on the CES 2018 show floor. Surprisingly these small computers can actually be overclocked up to 4.2 GHz in turbo mode and unlocked so as to offer an unparalleled VR experience. In terms of connectivity, the new NUCs have two Thunderbolt 3 ports bringing it on par with any modern day device with transfer capabilities of up to 40 Gbps, USB 3.1 Gen2 that transfers at 10 Gbps and has a display port. The device also has consumer grade infrared port, two slots for SATA 3 or SSD hard disks. It also supports RAID-0 and RAID-1 setups with space to install up to 32GB of DDR4 RAM. 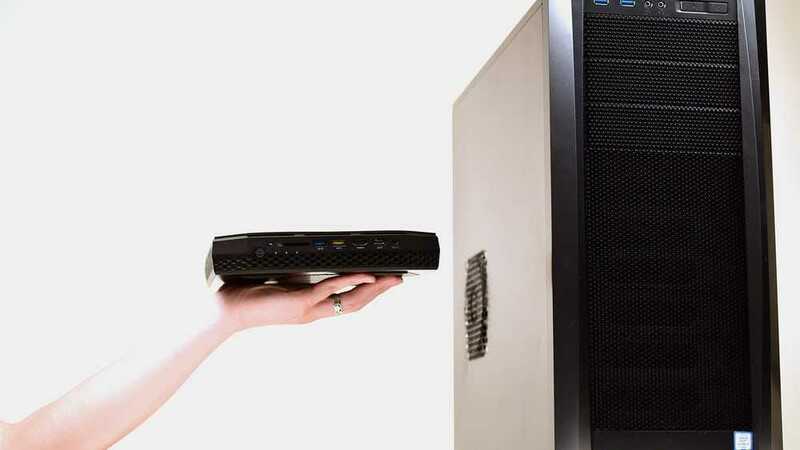 The connectivity options are very high considering the size of the Intel NUC devices which also sports dual gigabit ethernet ports in the front and back to connect your virtual reality headsets. It also has HDMI ports on both sides to favor easy plug and play options. It is capable of being connected up to six monitors at once and can deliver 7.1 surround sound audio channel. There are more ports including two Mini display ports in the rear and two more Thunderbolt USB C ports as well. Intel has definitely pushed the limits on their new compact PC setup. It is to be seen if customers would actually buy a NUC PC for their VR needs or even if they did, it’s pricing and the performance it delivers should be on par with a full desktop setup. AMD’s Vega graphics may contribute a lot to make this device a success.